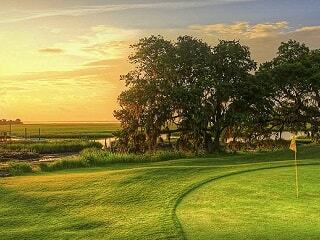 With so many nationally ranked golf courses in Charleston, golf is a huge attraction for residents and visitors alike. Some of the best golf courses are located in Mt. Pleasant and Kiawah Island, but you’ll find plenty of options throughout the tri-county area. Total, Charleston boasts 22 public and private courses and 13 golf course communities. 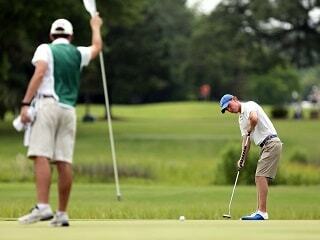 Most golf courses in Charleston are open to the public and don’t require you to live in the golf community to play. However, there are a few courses on which you can only play by proof of residence or by invitation from a resident. If you're looking for resort-style living in a golf community, Wild Dunes Resort, Seabrook Island, and Kiawah Island would be good areas to start your real estate search. These areas have multiple golf courses (some of which are beachfront), and they offer some of the finest amenities in all of Charleston. Mount Pleasant is also home to four nice golfing communities: Dunes West (pictured left), Charleston National, Rivertowne Country Club, Snee Farm. On James Island, Country Club is adjacent to the Country Club of Charleston, and it’s considered the only golfing community on the island. 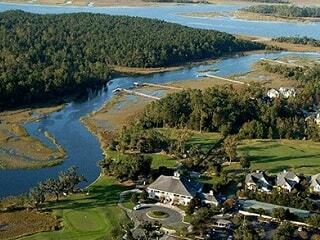 Kiawah River Estates is the only Johns Island golf community, and its Oak Point Golf Course is owned by Kiawah Island Resort. 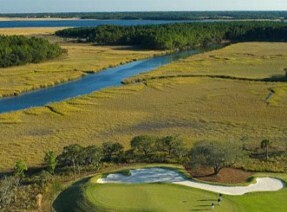 Daniel Island (pictured above) is set up a little differently in that residents from any of its communities can become members of its prestigious golf club. More affordable options for living in a Charleston golf course community are Shadowmoss Plantation in West Ashley, Coosaw Creek in North Charleston, and Crowfield Plantation in Goose Creek. Also, Summerville has Legend Oaks Plantation as well as Wescott Plantation. The last option for Charleston golfing communities is Stono Ferry in Rural West Ashley, which is by far the most rural area of Charleston with a golf course. Dunes West is consistently a top pick among buyers wanting to live in a golfing community because of its unparalleled amenities and its high end real estate. Both residents living outside of the gated entrance and within the gated sections can join the Golf Club. Rivertowne Country Club rivals only Dunes West in terms of the course itself and the social privileges that membership affords. 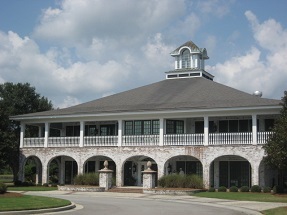 Its massive columned, Low Country styled club house can be seen from many of the holes, adding to the marsh backdrops of the course. 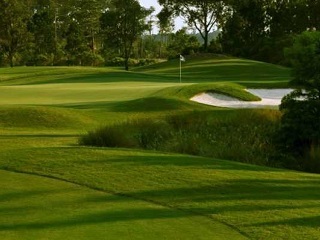 It hosted the 2007 LPGA Tour. Snee Farm Country Club’s hosts the annual Rice Planters Amateur Golf Tournament (pictured right). This is the only golf course in Mt. Pleasant that does not allow walk-ons, so it’s fully private. Charleston National is the most affordable golf community in Mount Pleasant. For home buyers willing to live further out on Hwy 17, you’ll be able to get more home for the money. 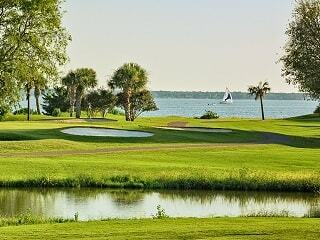 Patriots Point Links is a public golf course with no residential community associated with it. Its location at the mouth of the Charleston Harbor makes it a must-play, and it’s surprisingly one of the most affordable rounds of golf you can play in Charleston. Need more information about Charleston Real Estate? For the best assistance in buying or selling Charleston area homes, contact The Keadle Group online or call 800.804.2187.